Card Review: 5.9 I remember thinking this was a lame design even as a nine year old back in 1988. 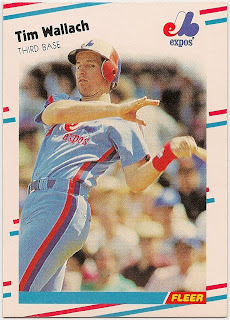 This particular card is not helped by a poor, off-centered photo. It's almost as if he's leaning just to fit onto the card. 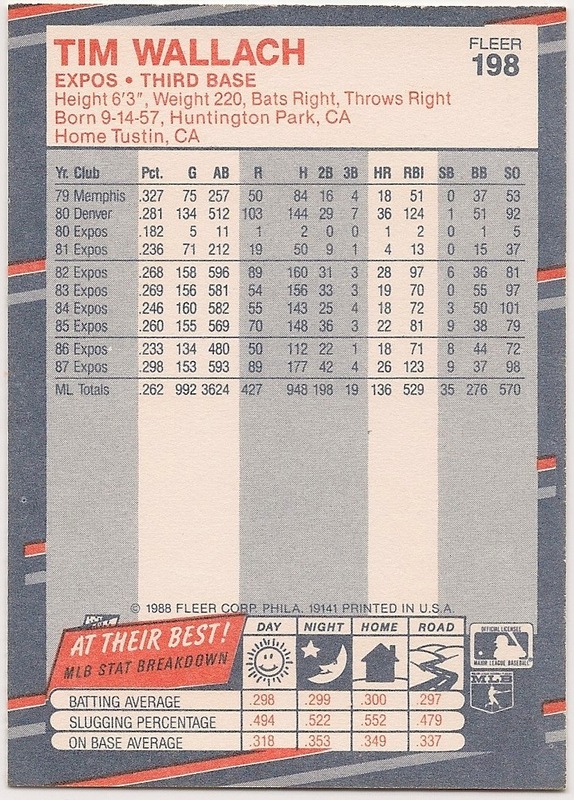 In fairness, Fleer did a better job with the box-bottom '88 Wallach. The design actually seems to look better (they're identical), which speaks to the difference a good photo can make. 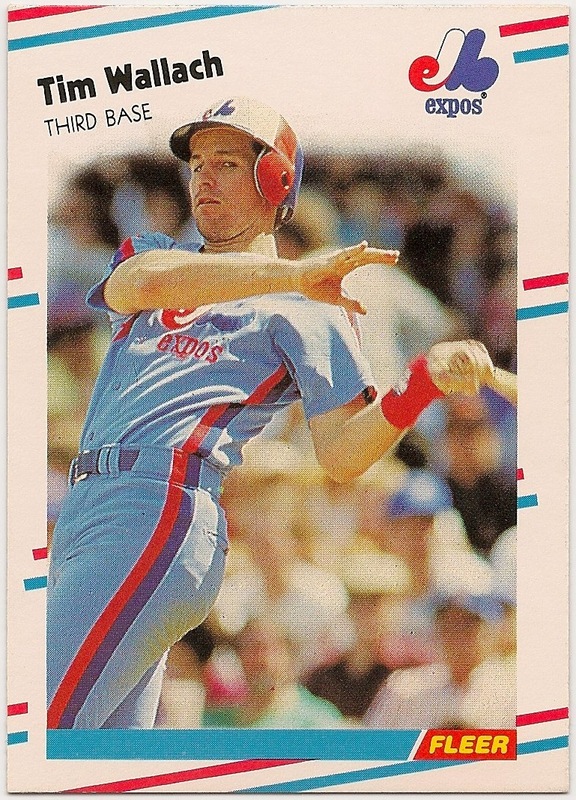 Fun Facts: *Wallach won his 2nd of 3 Gold Gloves in 1988.